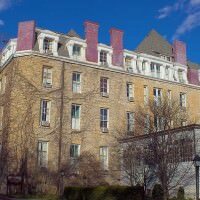 “She walked about disdainfully, unwilling to be enthusiastic over monuments of uncertain authorship or date.” ― E.M. Forster, A Room with a View. But we at Destination Seeker are not unwilling to be enthusiastic about monuments and statues, quite on the contrary. Especially if they are not being credited enough for all their glory. 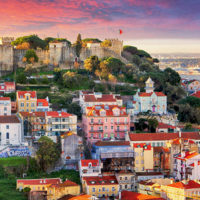 This is exactly why we decided to try and bring you a bit closer to these lesser-known wonders of the world in form of glorious monuments. We searched for somewhat odd and unusual landscapes dominated by massive statues that were unfairly disregarded and perhaps overshadowed by some more popular memorials. Famous photographer, Fabrice Fouillet, refers to a certain period in the 1990s as “statuomania” – the period during which numerous huge statues like Giant Buddhas in Asia. 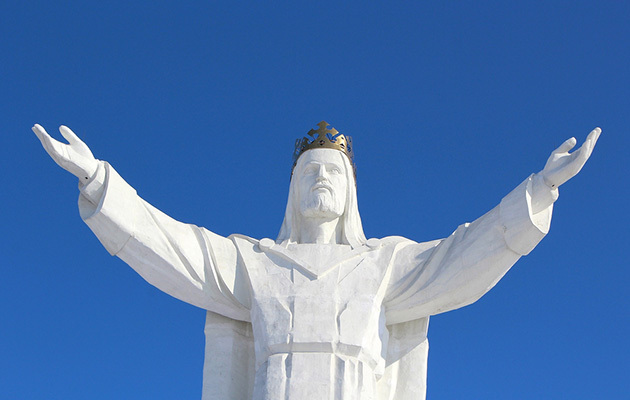 But did you know, for example, that Poland has an enormous Jesus statue just like the one in Rio de Janeiro, Brazil? Let’s take a closer look at these 5 giant monuments you probably never heard of. 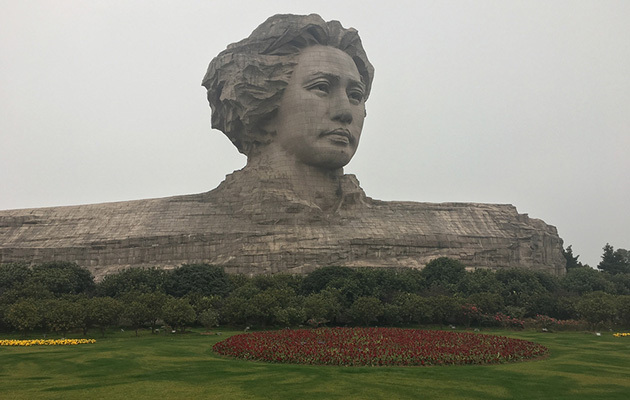 The huge Youth Mao Zedong Statue is located in Orange Isle in China and it stands 105 feet (32 meters) tall, depicting the head of Mao Zedong. Fans of “3rd Rock From The Sun” will probably remember the term Big Giant Head right now, but this is definitely not what the writers of that brilliant show had in mind. On a more serious note, Youth Mao Zedong Statue was built by The Hunan People’s Government in 2009 after. It took them two years to complete this massive piece comprised of more than 8000 pieces of granite. This gorgeous monumental statue in Kiev, the capital of Ukraine, is a part of the Museum of The History of Ukraine. The stainless steel sculpture stands 203 feet (62m) tall upon the museum building with the overall structure measuring as high as 335 feet (102 m), while it weighs 560 tons. The sword in the statue’s right hand alone weighs 9 tons and is 52 feet long. The shield, naturally, bears the State Emblem of the Soviet Union. The Art Deco statue called Christ depicts Jesus Christ and is located in Świebodzin, western Poland. 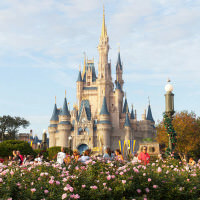 Completed on 6 November 2010, the monument is 108 feet tall, while the crown alone is 9.8 feet tall. 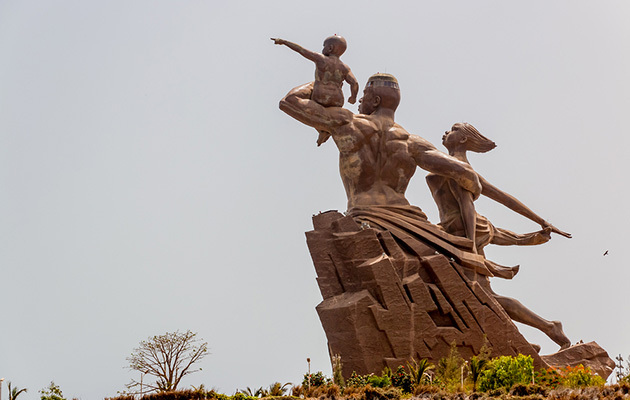 This beautiful Renaissance Monument is a 161 feet (49 meters) tall bronze structure located on top of one of the twin hills known as Collines des Mamelles, outside Dakar, Senegal. The statue was built in such a way so it overlooks the Atlantic Ocean in the Ouakam suburb. It was designed by the Senegalese architect Pierre Goudiaby after an idea presented by president Abdoulaye Wade and built by Mansudae Overseas Projects, a company from North Korea. 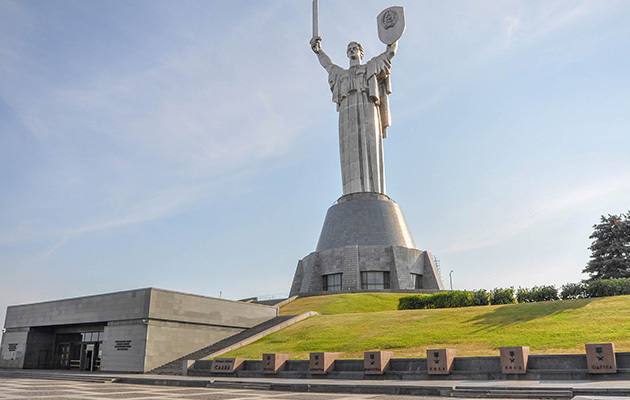 The soon-to-be famous Motherland Calls statue is located in Mamayev Kurgan in Volgograd, Russia, and it was made to commemorate the Battle of Stalingrad. The monument was designed by sculptor Yevgeny Vuchetich, while it was built by structural engineer Nikolai Nikitin. 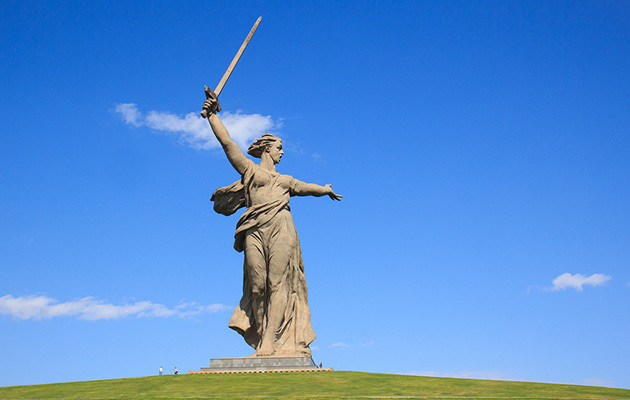 Motherland Calls was declared the largest statue in the world back in 1967, whereas today, it is the tallest statue in Europe and the tallest statue of a woman in the world (not including pedestals, that is). The figure measures 171 feet (52 meters) in height, while the sword alone is 108 feet (33 meters) long. The monument weights over 8,000 tons. 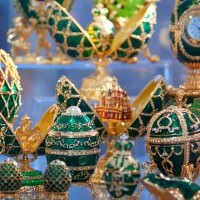 Do you think we overlooked some of the great yet less known monuments? Feel free to mention them in the comments!